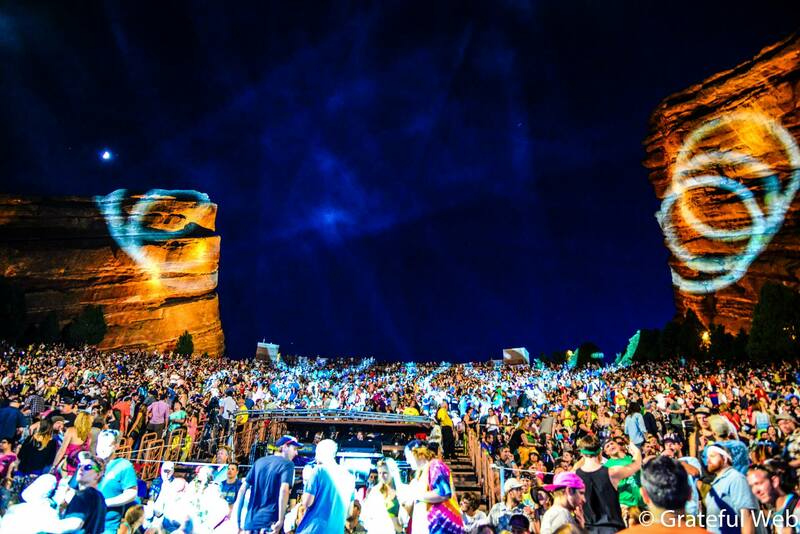 For the first time since they started headlining Red Rocks, Umphrey’s McGee achieved a sellout on Saturday night at the famed amphitheater. They proceeded to demonstrate over the course of two fiery sets exactly why it was such a hot ticket. 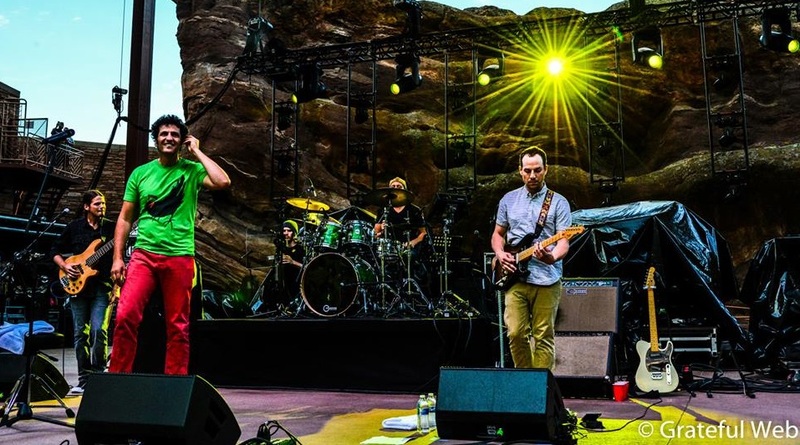 From the brand-new opener of “Lucid State” until the the end of the classic “Bridgeless,” Umphrey’s McGee provided endless supplies of heavy, hard-hitting RAWK. 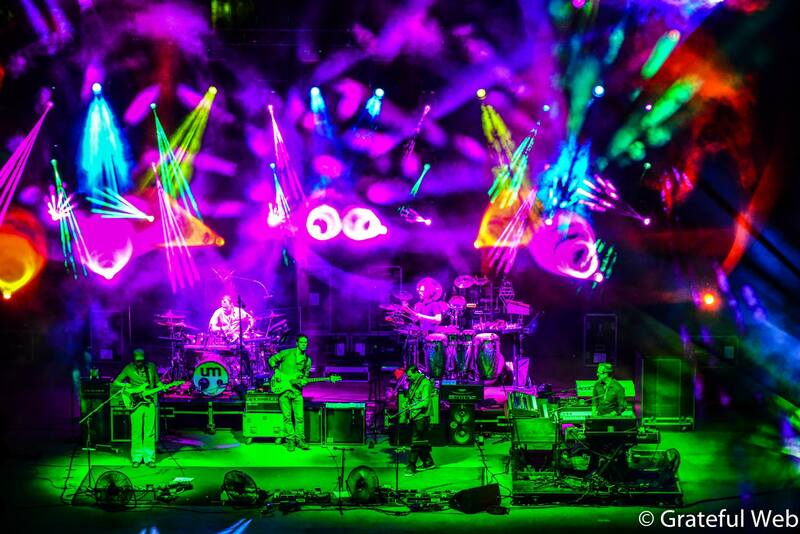 It was a showcase of how their sound has grown and matured into the all-consuming prog monster that filled the space between Ship Rock and Creation Rock with dazzling displays of technical wizardry, both musically and visually, due to Jefferson Waful’s unrivaled light show. 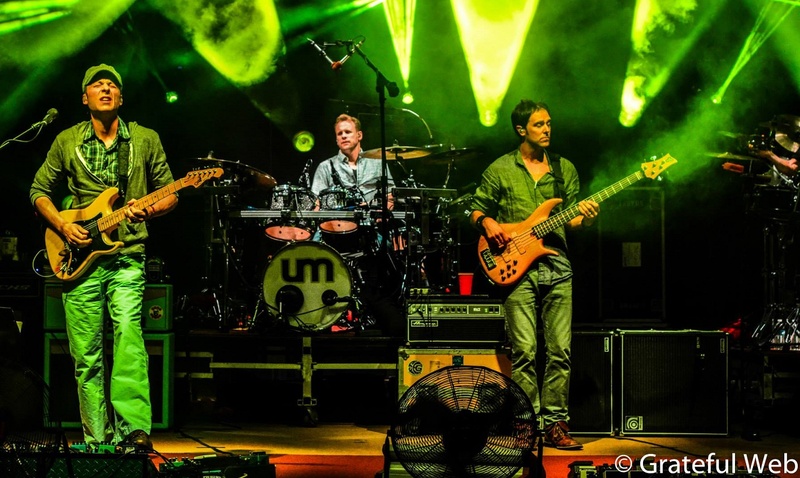 The euphoria from The Motet hadn’t dissipated a bit as Umphrey’s McGee took the stage at 9:45. It was apparent from the get-go that the band meant business, as each song seemed to get heavier and heavier. 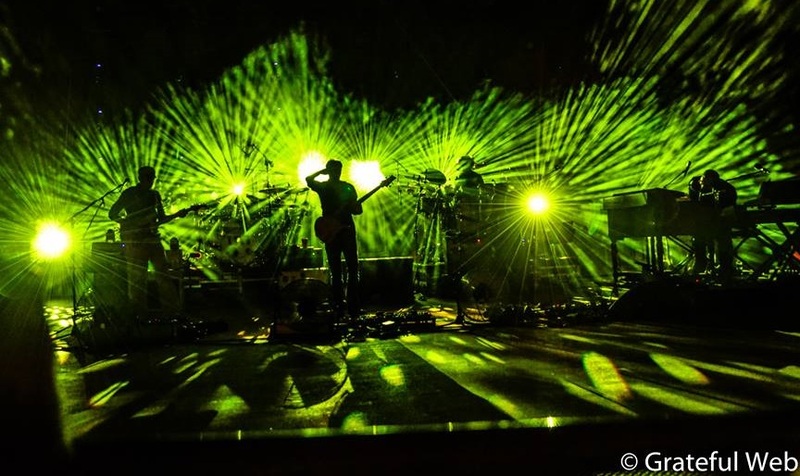 To use a clumsy analogy, if previous versions of Umphrey’s have been Shredder from Teenage Mutant Ninja Turtles (no doubt a formidable foe/force as is), than this version is surely Super Shredder. They’ve unlocked the secret of the ooze and are now bigger and badder than ever. At no point was it more obvious than midway through the first set, when the band began “Jajunk” which led into a massive “Ocean Billy” that featured a little Raw Stewage “Gents” jam thrown in the middle for good measure. This was followed by a tremendous, borderline-apocalyptic “All in Time,” and the crowd lost what little was left of their sanity. 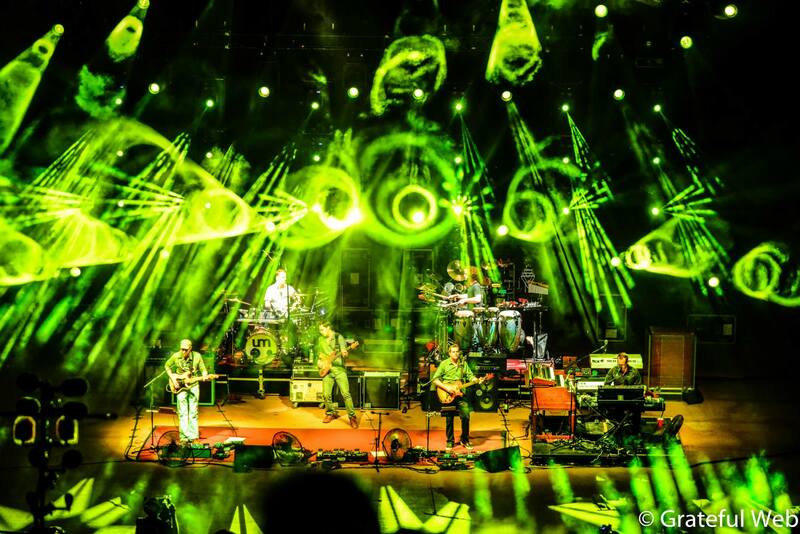 The next song was a much-needed breath-catcher in the form of “End of the Road,” which allowed guitarist Jake Cinninger to stretch his legs on an old guitar that Jerry Garcia used in the 1970’s, a Travis Bean TB500. Opener Moon Taxi had used the guitar earlier in the night as well. Next, the band took a stab at another debut, this time one off of their new studio album Similar Skin entitled “Educated Guess.” The song was complex but thoroughy enjoyable, especially Joel Cummins’ work on the keyboard. I predict it will start making more appearances in the band’s live repertoire. Cinninger took over vocal duties on a lively cover of Bob Seger’s “Hollywood Nights” to close out the first set. Umphrey’s brought out the horn section and vocalist Jans Ingber from The Motet for a an excellent take on The Band’s song “Ophelia.” The show went back into heavy mode for a gritty, explosive “Hajimemashite” that meshed into the perfectly appropriate close of “Bridgeless.” The same song that ends their newest album thus ended another epic Red Rocks show, and sent thousands of deliriously weary fans into the night with grins plastered to their faces.